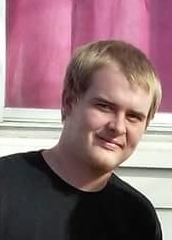 Tyler Jacob Frey, 25, Kokomo, passed away at 8:54 am Friday, August 3, 2018, at St. Vincent Hospital in Kokomo. He was born January 22, 1993, in Kokomo, the son of Michael V. Frey & Robin R. (Gunter) Halupa. On June 6, 2014, he married Devani C. Burton, and she survives. Tyler had worked for Practical Property Group in Westfield. He loved spending time with his children, family and friends, along with fishing, and working on cars. Along with his wife, Devani, Tyler is survived by his children, Jacob Frey, Nevaeh Burton, Faith Frey, and Noah Frey; father, Michael V. (Terri) Frey, Baltimore, Maryland; mother, Robin R. (Kenny) Halupa, Kokomo; siblings, Corbin Trueblood, Kokomo, Zoey (Armondo) Shields, Marion, Kassidy Frey, Elwood, Haley Richards, Chelsey Frey, and Kyley Frey, all of Baltimore; paternal grandparents, Sharon White, Kokomo, and Richard (Kathleen) Frey, Baltimore; maternal grandparents, Paula (Jeff) Bryan, Kokomo, and Brian Gunter, Kokomo. Tyler was preceded in death by his uncle, Joseph “Joey” Gunter. A memorial service will be held at 2:00 pm Thursday, August 9, 2018, at Shirley & Stout Funeral Home, Jefferson Street Chapel, 414 West Jefferson Street, Kokomo, with Pastor Jason Grant officiating. Friends are invited to visit with the family from 12-2 pm Thursday at the funeral home. Memorial contributions may be made to Shirley & Stout Funeral Home to assist the family with final expenses. Messages of condolence may be left online at www.shirleyandstout.com.